StarUML v2.7.0 is now available for download. This release includes the following features and fixed issues. 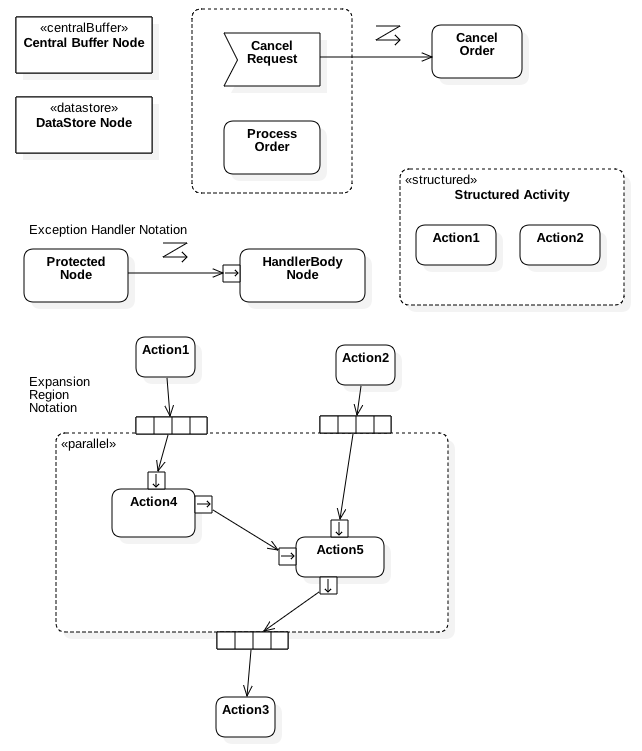 Now additional standard elements for Activity Diagram are supported: CentralBuffer, Datastore, ExceptionHandler, InterruptibleActivityRegion, StructuredActivity and ExpansionRegion. 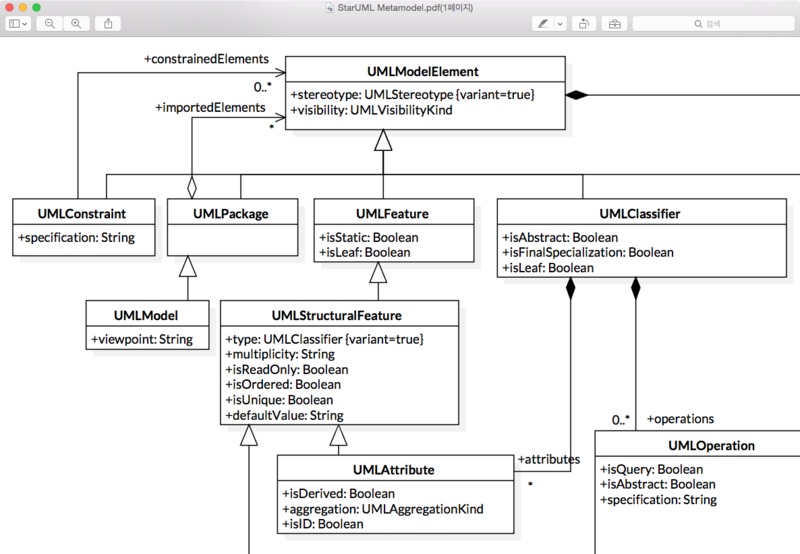 Now you can see the “nullable” and “unique” properties in ER diagram. Capital “U” is shown in left section for “unique” columns and capital “N” is shown in left section for “nullable” columns. 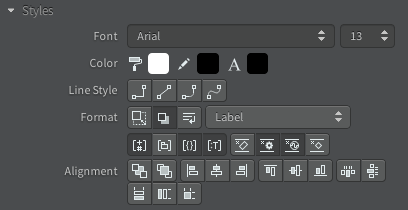 When StarUML started, fonts in the diagram are not well rendered because fonts are lazily loaded. This lazy loading problem is solved so now you can see correctly rendered fonts even when StarUML is first started. StarUML v2.6.0 is now available for download. This release includes the following features and fixed issues. 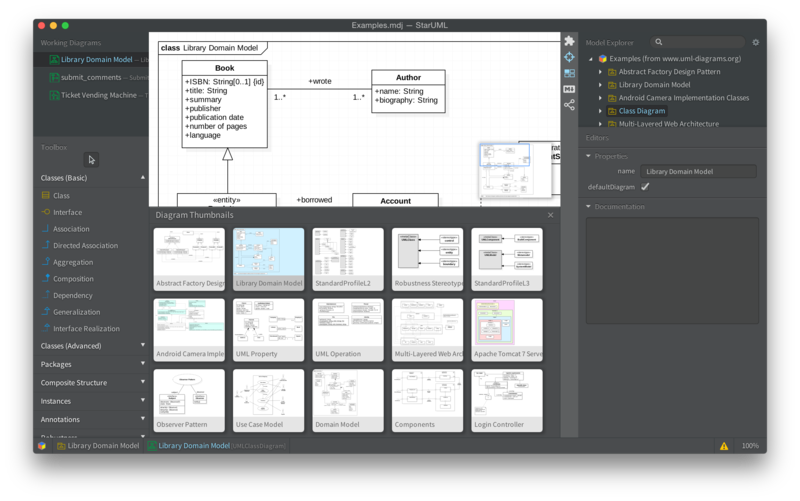 Now you can create Flowchart Diagrams. Flowchart is one of the most popular diagram. 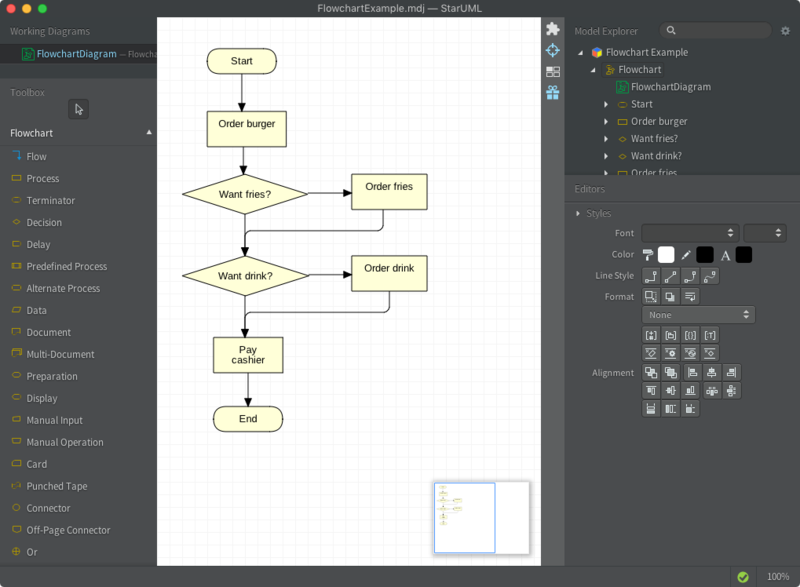 To create Flowchart, select [Add Diagram > Flowchart Diagram] menu. StarUML v2.5.1 is now available for download. This release includes the following features and fixed issues. StarUML is updated to support Mac OS X – El Capitan, so now you can use split view feature of El Capitan. By pressing maximize window button while over than 1~2 seconds, you can drop the window on left area or right area in maximized mode. This release includes some minor updates and bug fixes. A command-line tool mdgen v0.9.0 is now available. mdgen can be used to generate HTML docs, diagram images (PNG, SVG), PDF documents, and template-based custom codes. Now you can automate generation of codes and artifacts from your model files (.mdj) in your build scripts. Or, if you are familiar with Node.js, then you can write your own scripts using metadata-json library. 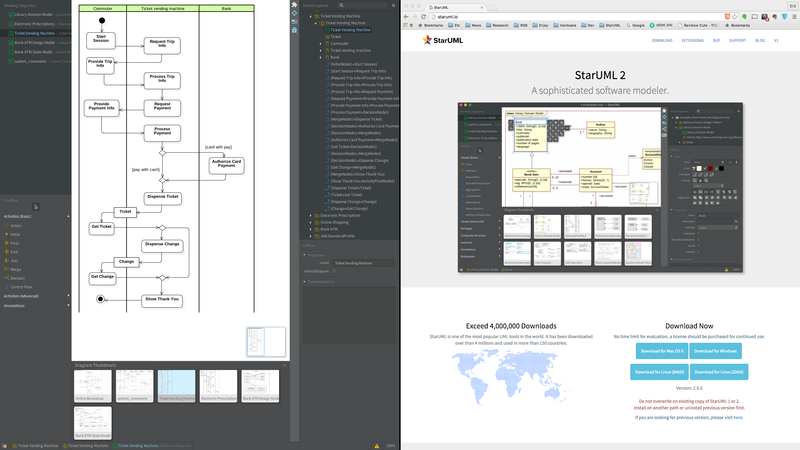 StarUML v2.5.0 is now available for download. This release includes the following features and fixed issues. As the number of diagrams is increased, it is difficult to find a particular diagram you want to see or edit. Diagram thumbnails view is very helpful to find the diagram you want to open. 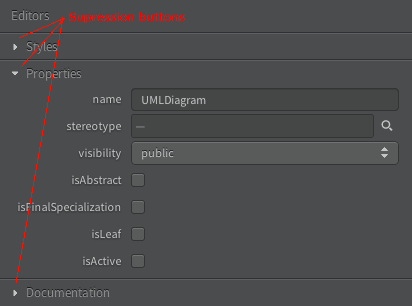 To open this view, check [ View > Diagram Thumbnails ] or click on the Diagram Thumbnails toggle button in Toolbar. 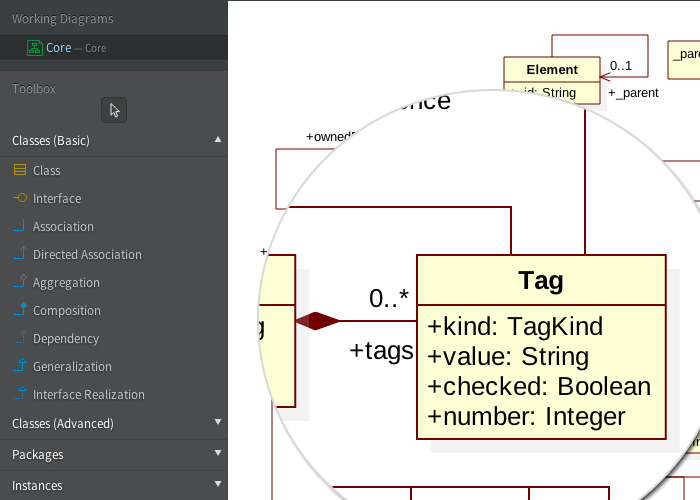 Now you can create Hyperlinks to Diagrams, Elements, and URLs. 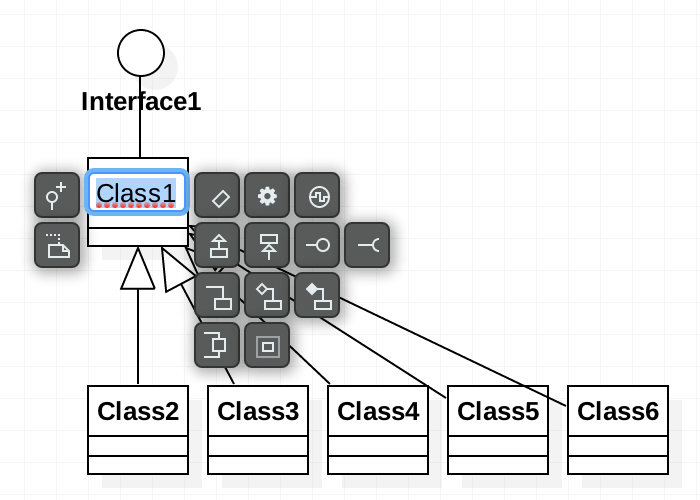 You can easily create a hyperlink to a diagram by just drag a diagram from Model Explorer and drop on a diagram area. When you double click the hyperlink, then automatically open the referenced diagram or open the URL in a default browser. 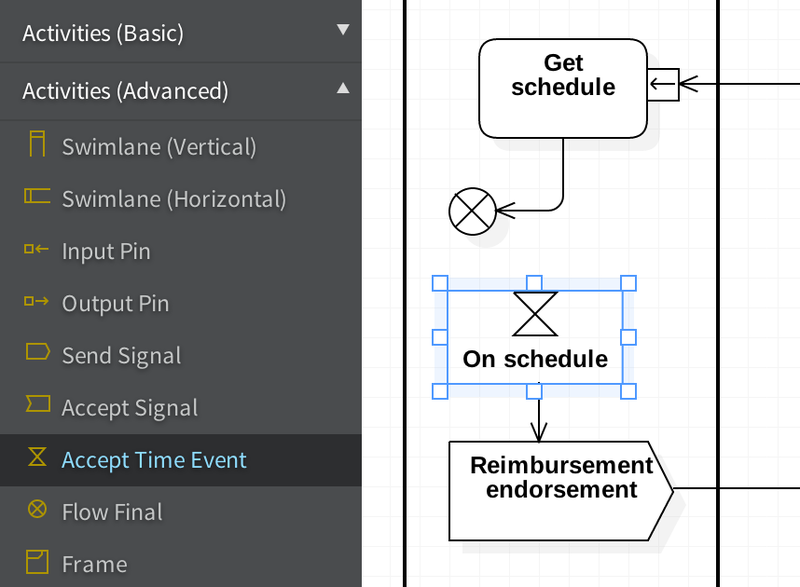 Now Accept Time Event Action element is supported for Activity Diagram.